It’s cheaper and easier. To buy footage is a lot cheaper and easier than shooting the video yourself. Although some of the footage must come from your camera, it does not hurt to purchase a few from stock media agencies. Buying clips helps you save time and money. For instance, you need a shot of New York City skyline. You don’t actually need to travel to NYC just to capture the video. You can purchase it from your preferred stock site. If you’re on a tight budget and timeline, this is the best option for you. It is used in movies. As mentioned above, many movies in Hollywood use stock footage. That means you can too. It is safe to say that movie productions are trying to save time and money most of the time, including those major productions. Although the filmmakers could have captured the moment by setting up their own cameras, they chose to buy footage to save a little bit of money. It’s immediately available. Stock footage is there when you need it. You do not need to wait long to capture the moment. With just a few clicks of your hand, you can purchase and download the one you need it without being stressed about funding and setting up an entire shoot. Not all stock footage look like stock files. Many filmmakers are afraid that when they buy footage and incorporate it to their productions, they will look unnatural. But it doesn’t have to be like that. Many stock footage have high quality and with a few edits do not look like stock files. No travels or permits needed. Do you need shots of the elephants in Africa? When you buy stock footage, you do not need to actually go to Africa just to get shots of the elephants. This saves you time and money from securing permits and travelling. After all, travelling to another continent isn’t just practical – considering the host of expenses you need to pay for. 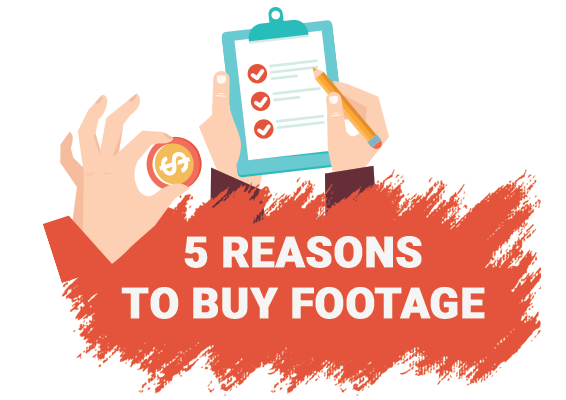 These 5 reasons are enough to convince creative professionals to buy stock footage for their film productions. 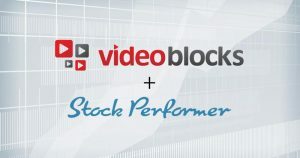 Do you know other reasons why you should buy stock footage instead of shooting them yourself? Tell us.